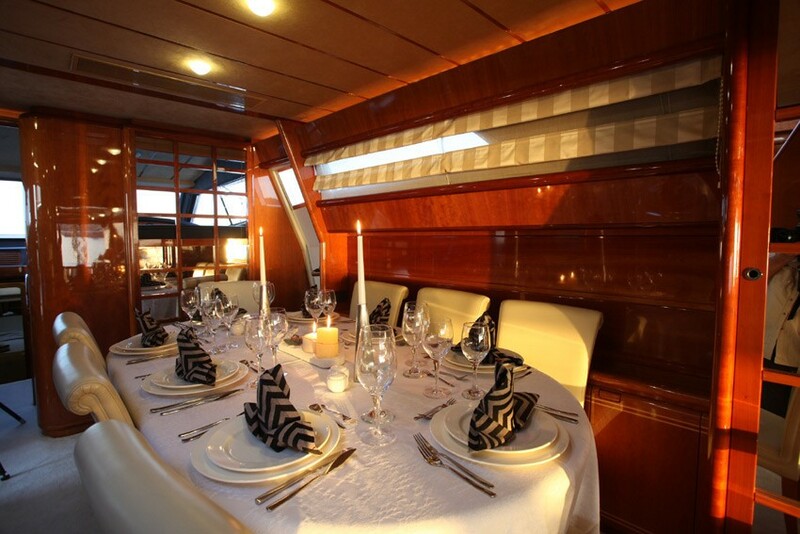 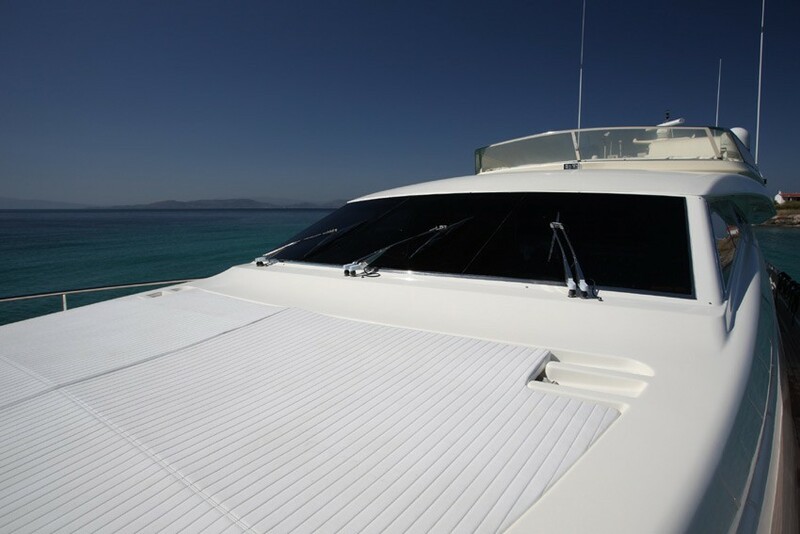 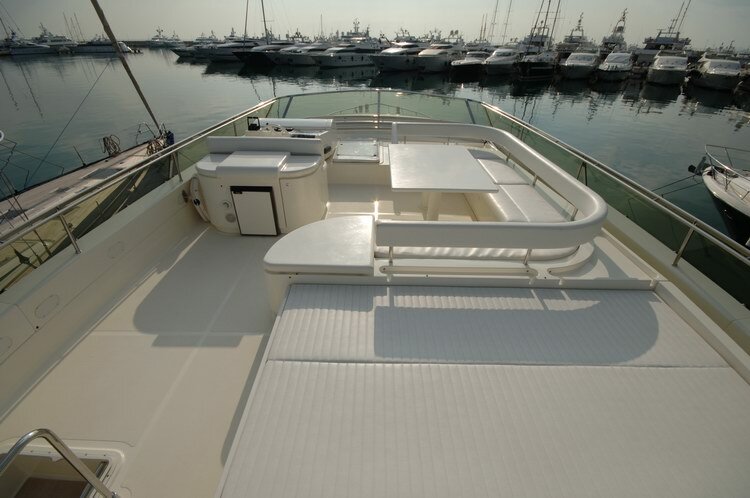 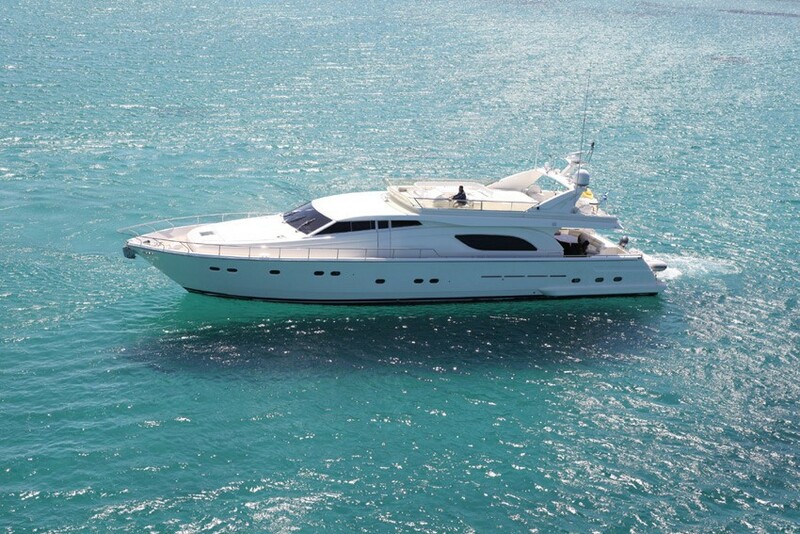 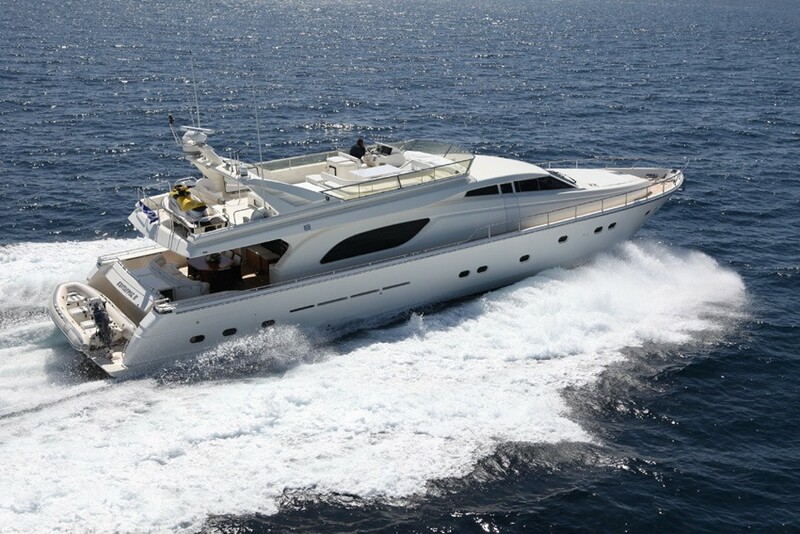 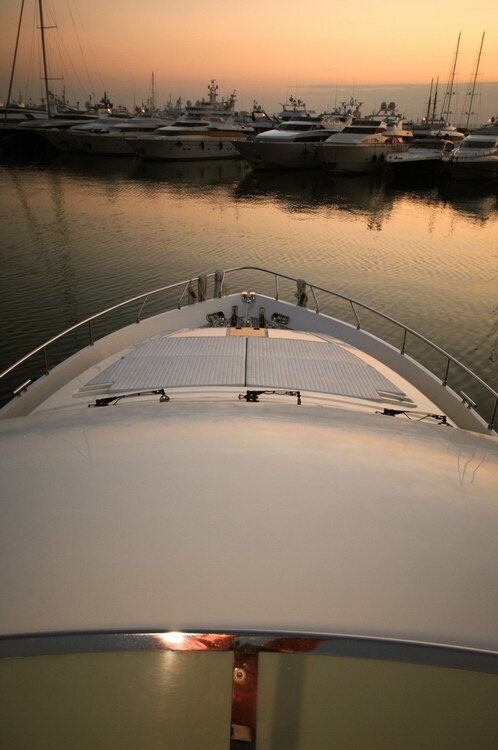 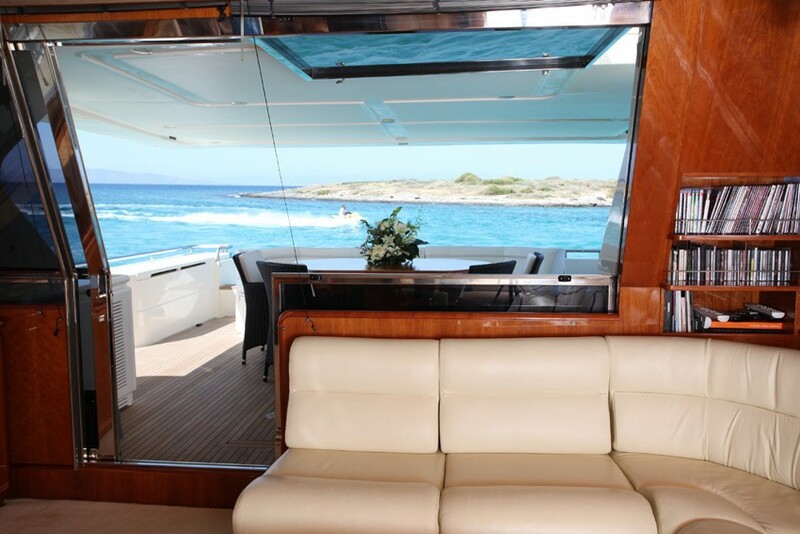 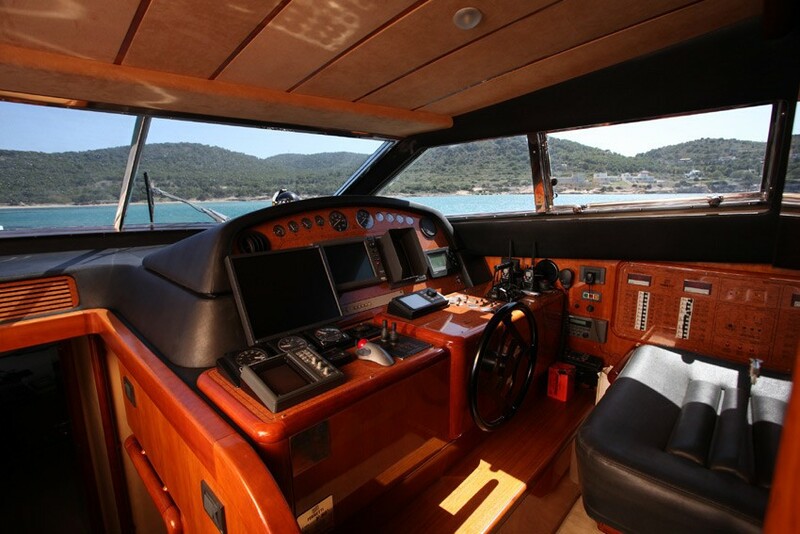 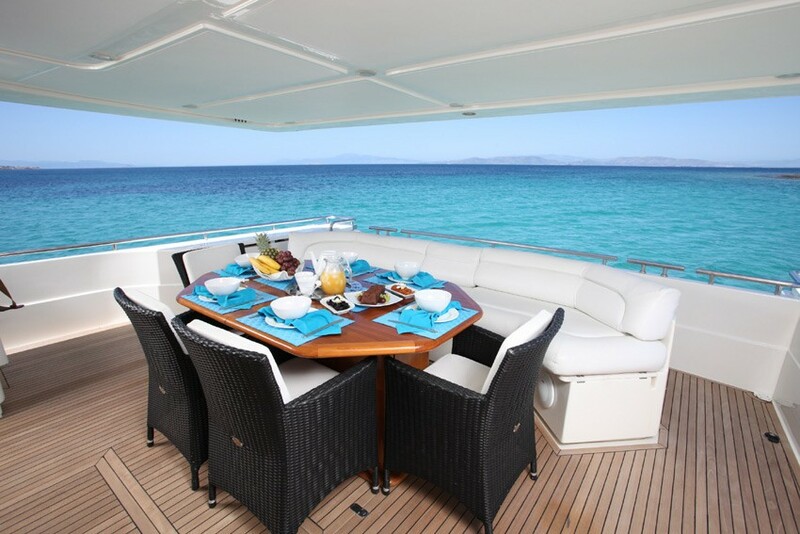 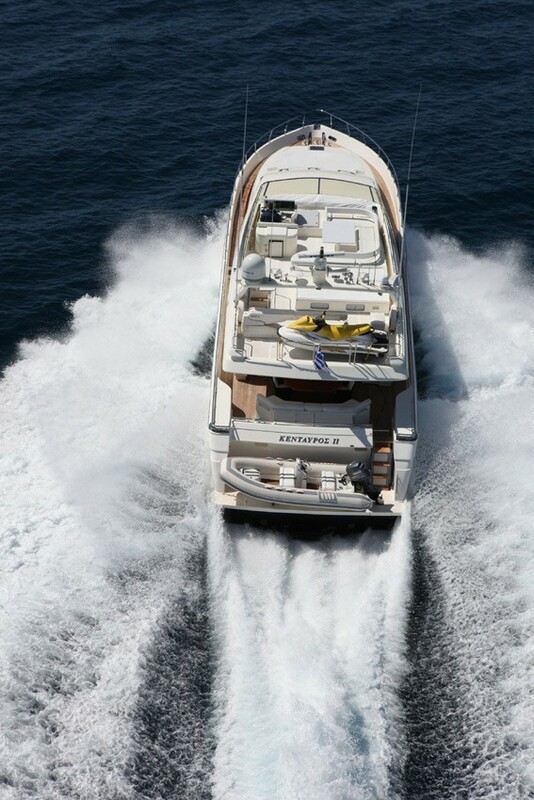 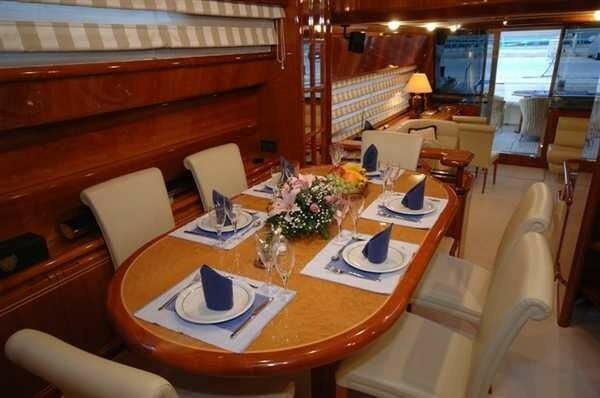 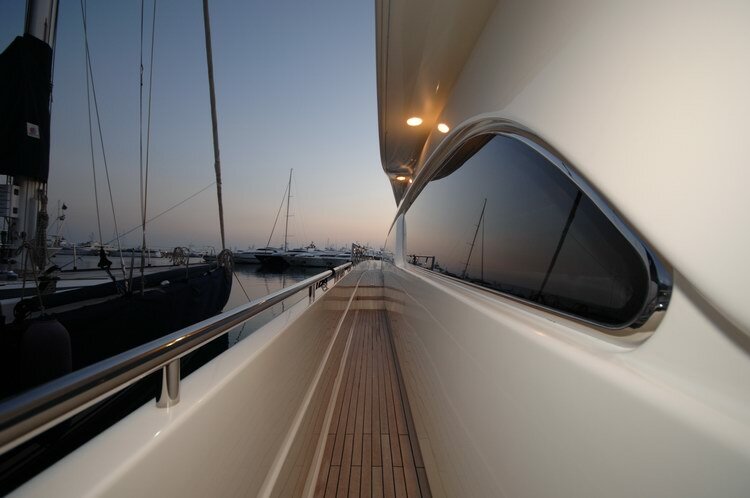 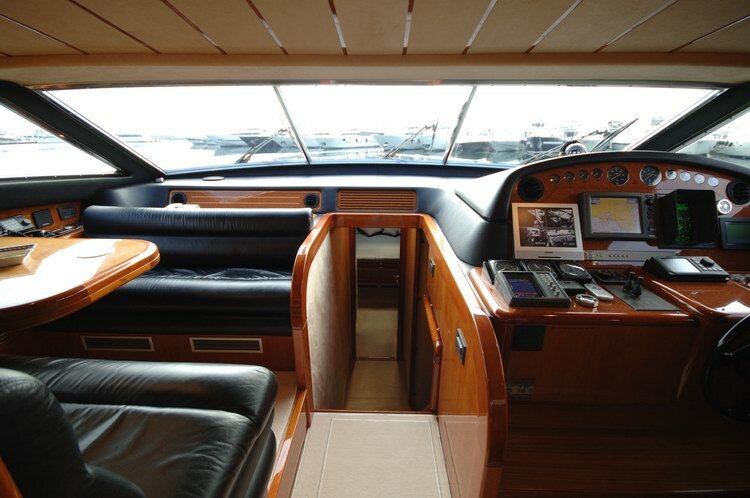 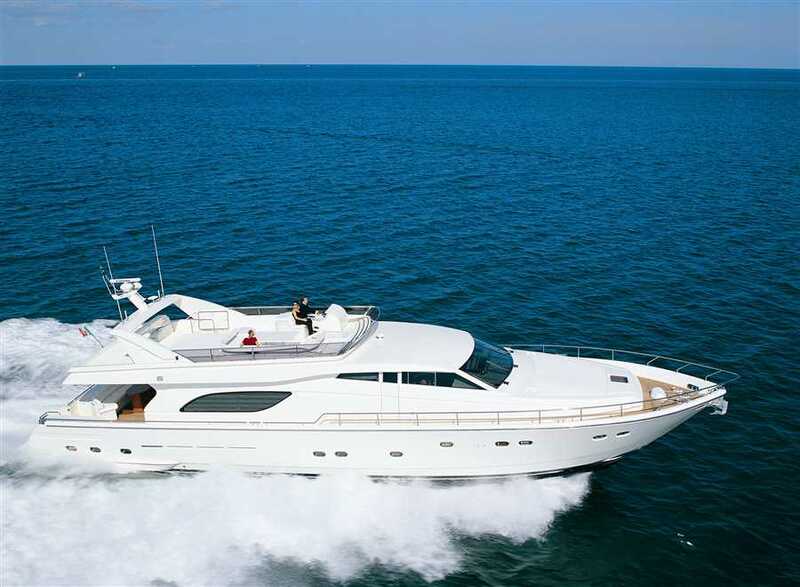 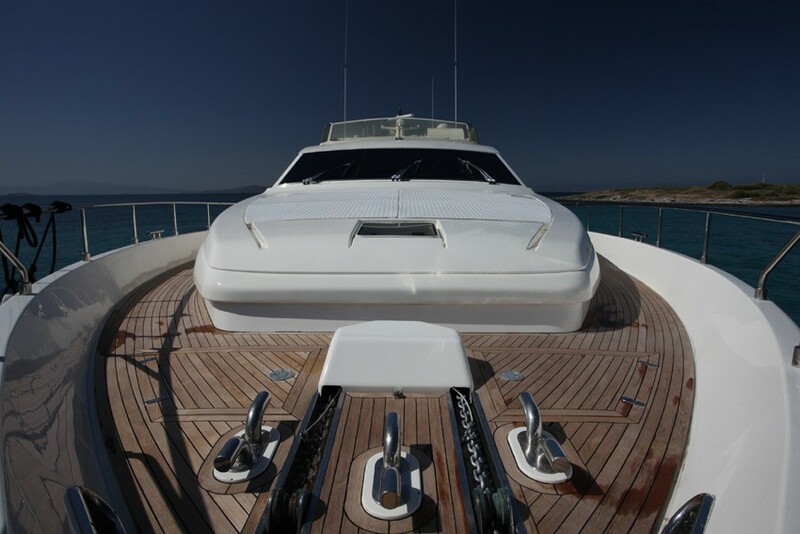 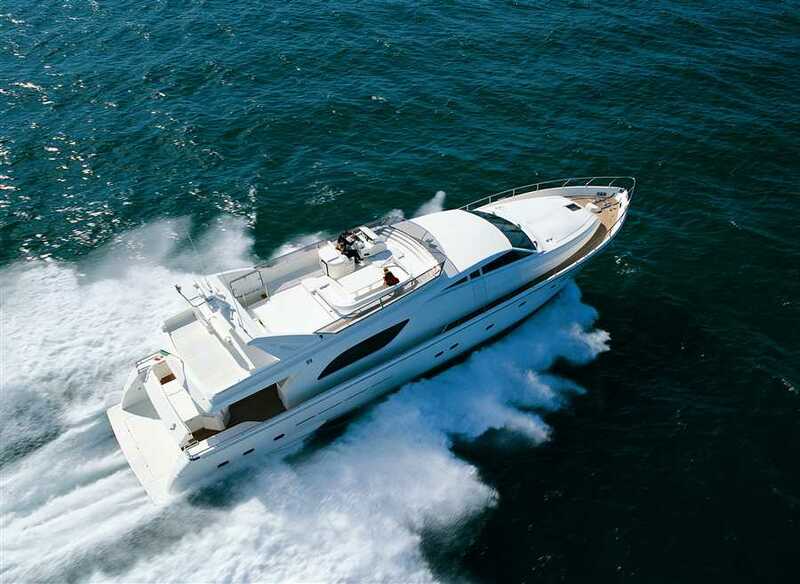 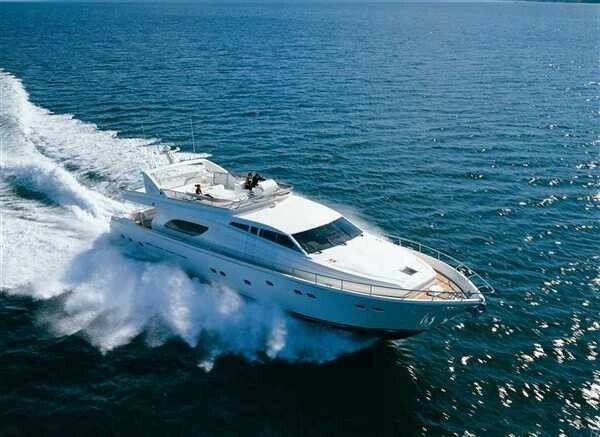 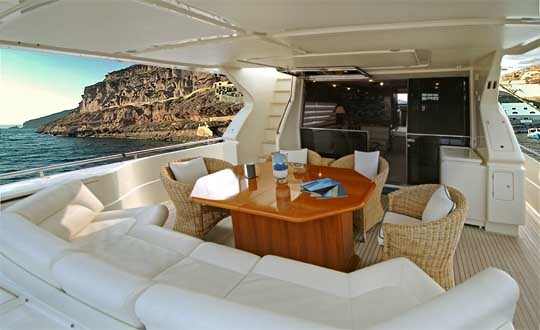 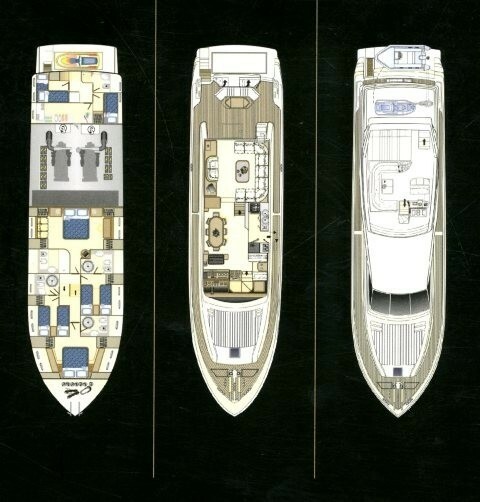 Motor Yacht KENTAVROS II is a 24,3m (78.8ft) yacht built by world renowned Ferretti in 2001 and refitted in 2010. 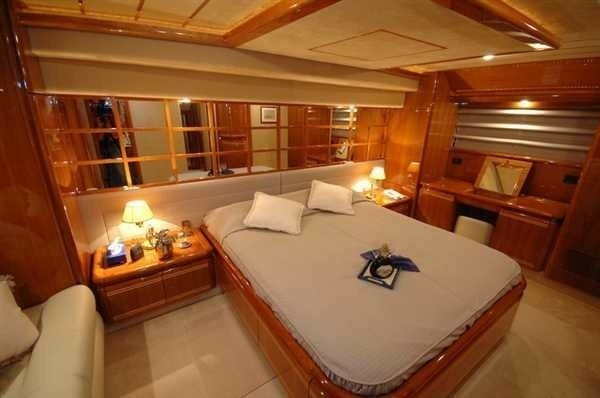 The interior designer’s use of medium toned woods with light crisp furnishing and natural light create a comfortable yet sophisticated ambiance. 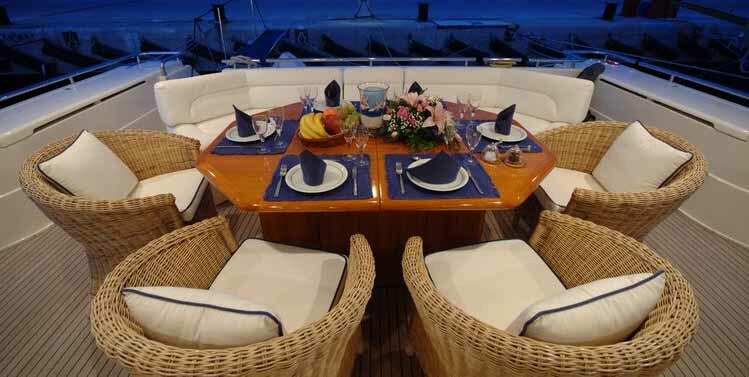 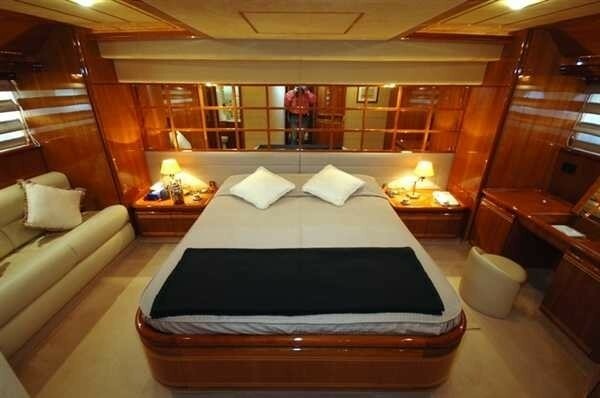 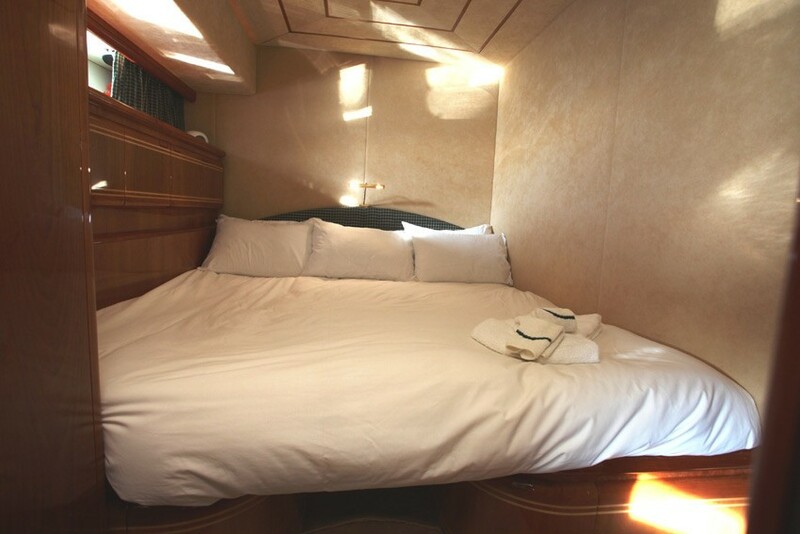 Charter yacht KENTRAVOS II can accommodate 8 guests in a master cabin with king size bed, 1 VIP cabin with queen size bed and 2 twin cabins, all cabins have private ensuite facilities. 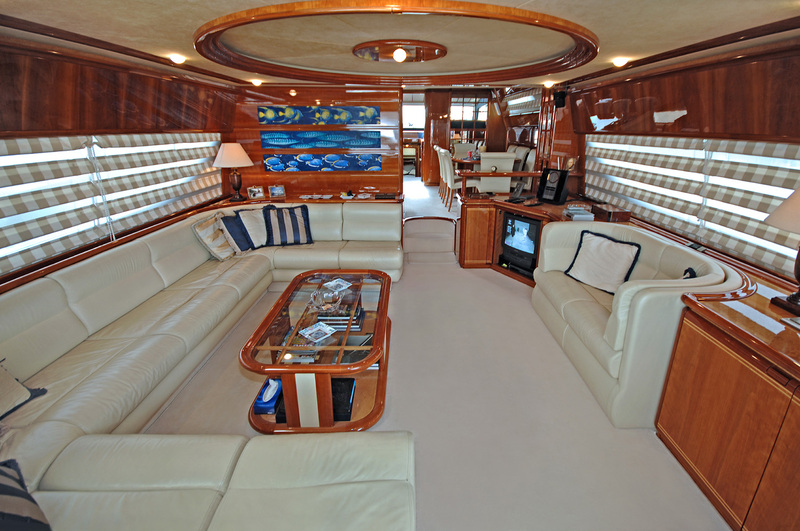 M/Y KENTRAVOS II is well equipped for luxury charter with satellite TV in the saloon, VCR and DVD in main salon and Hi - Fi audio system. 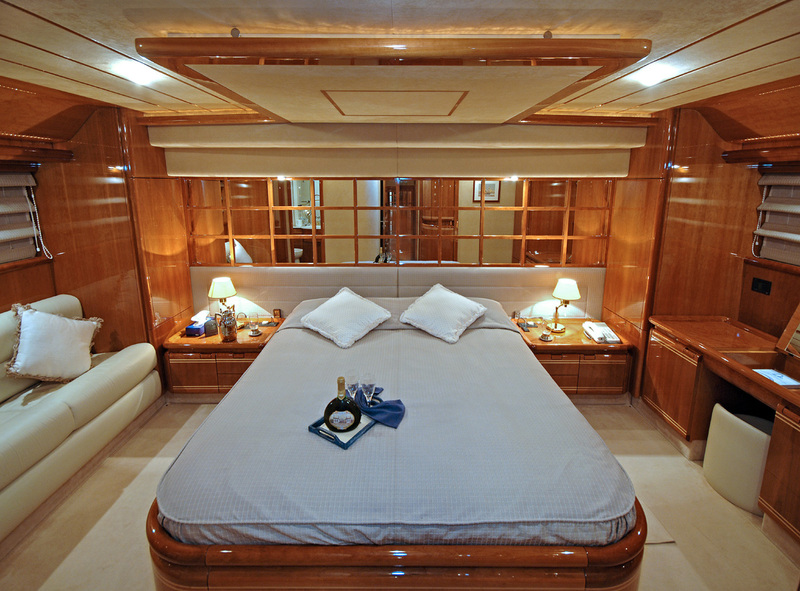 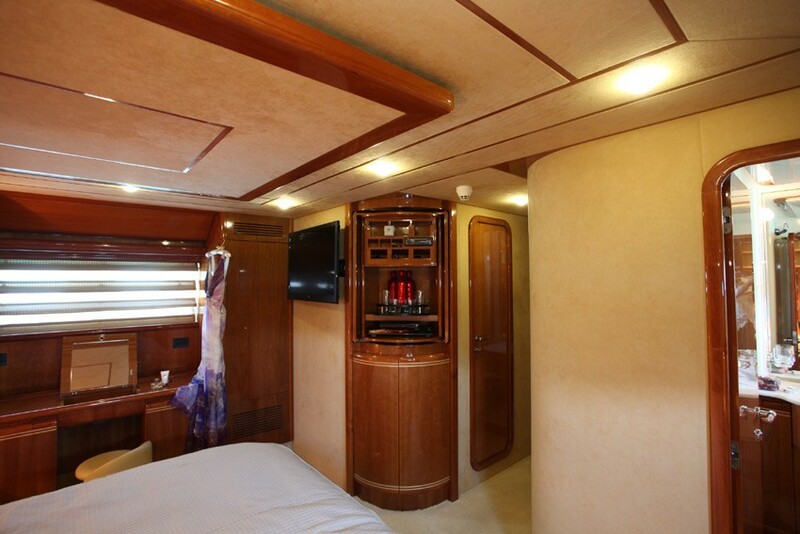 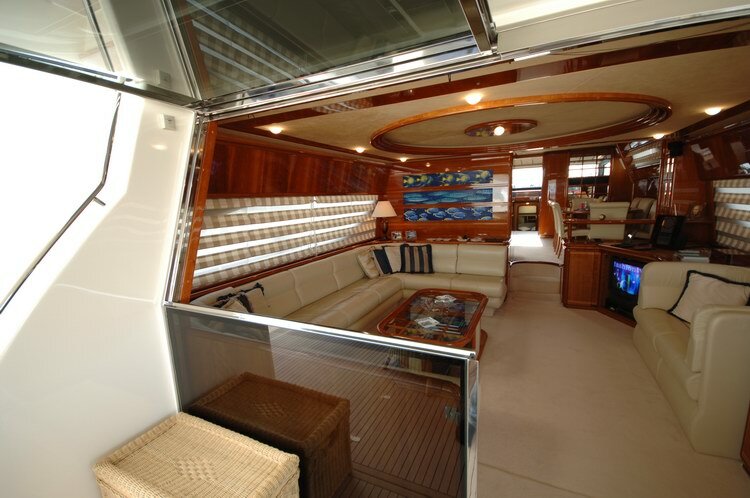 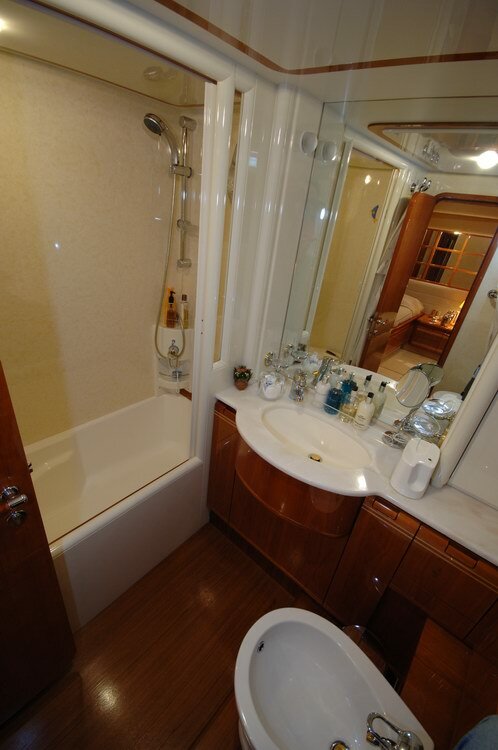 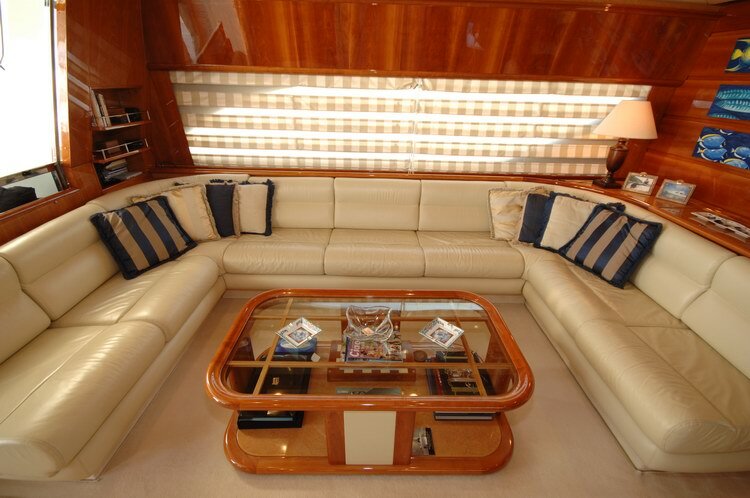 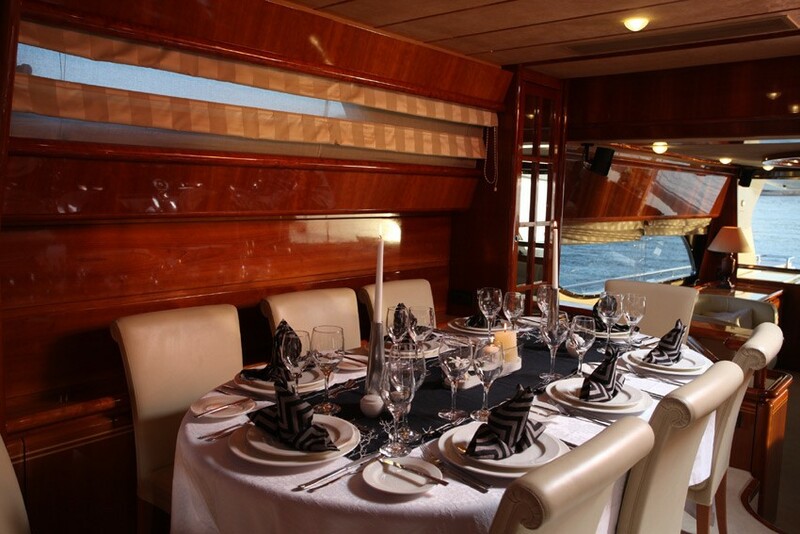 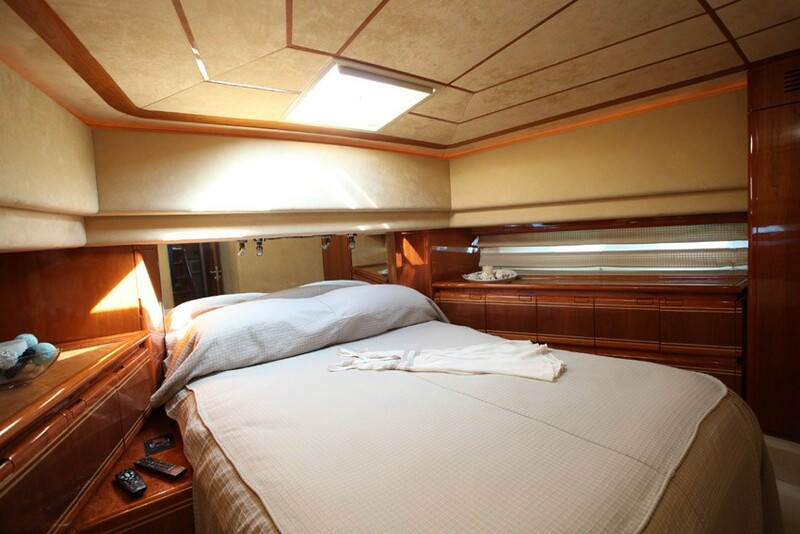 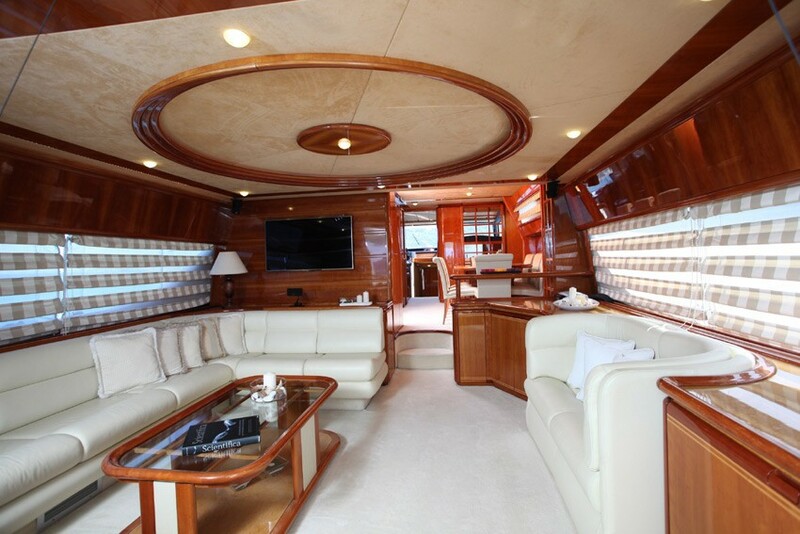 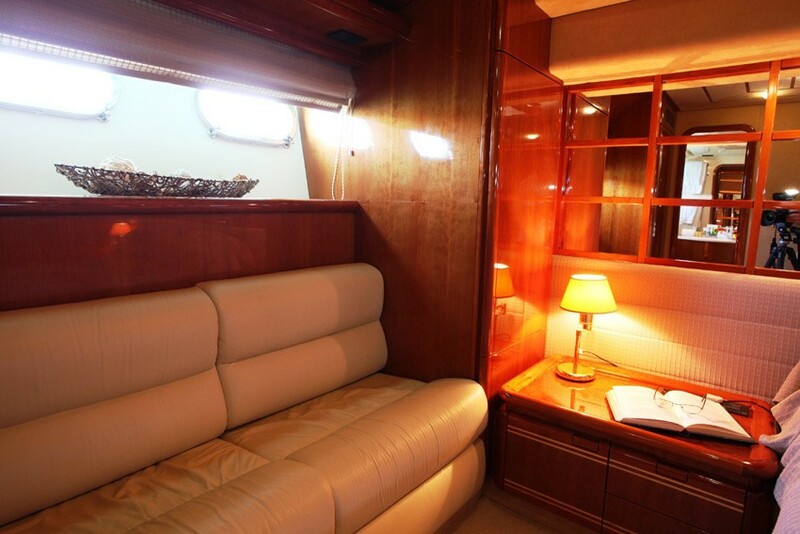 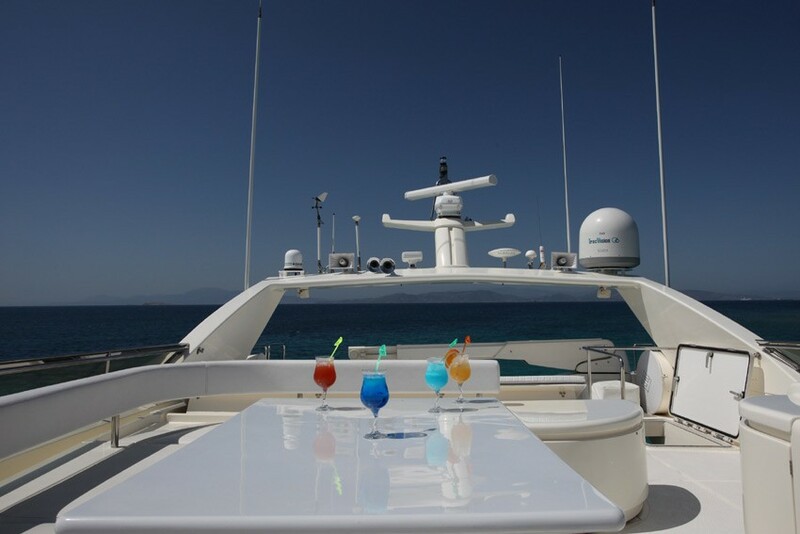 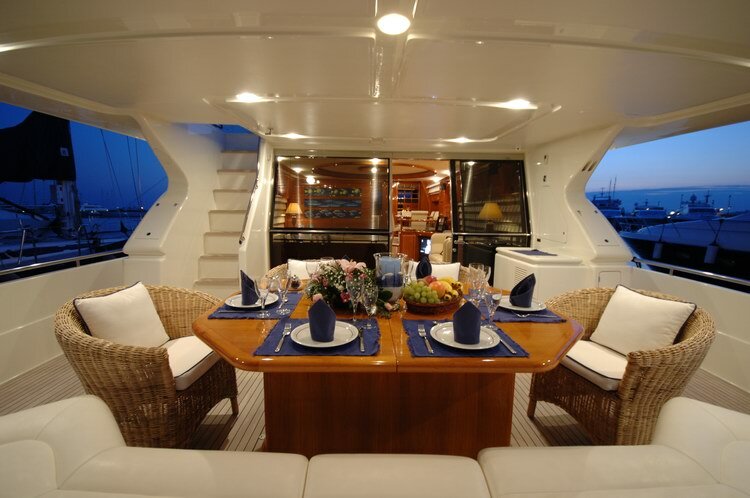 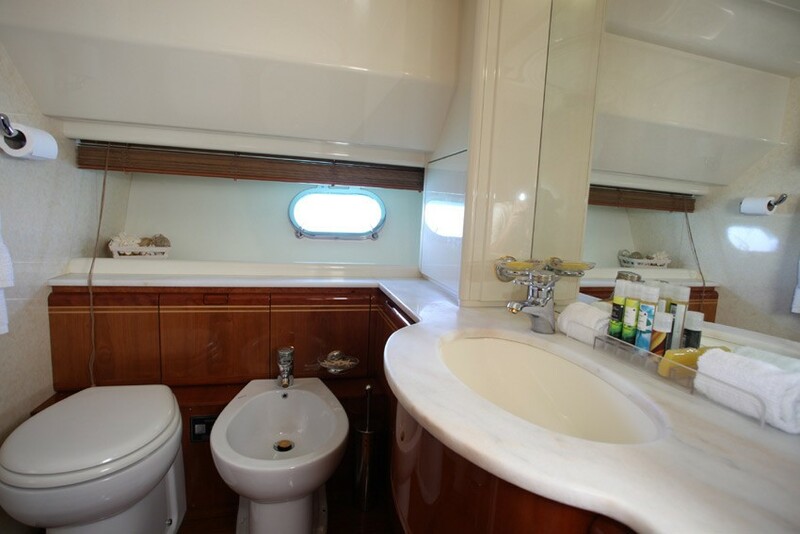 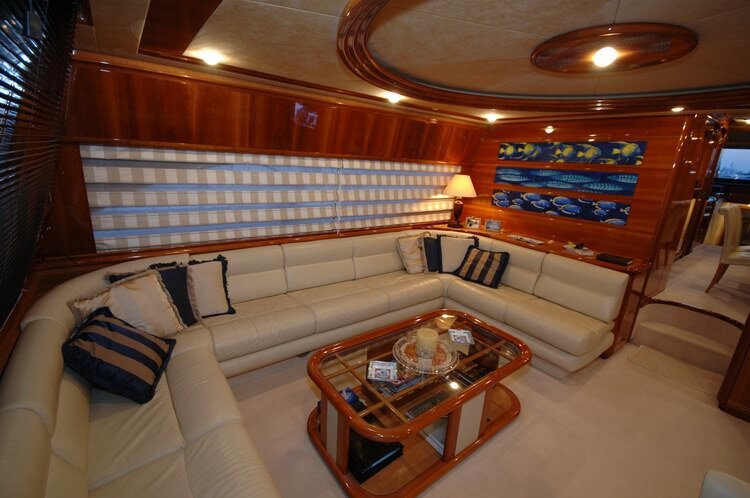 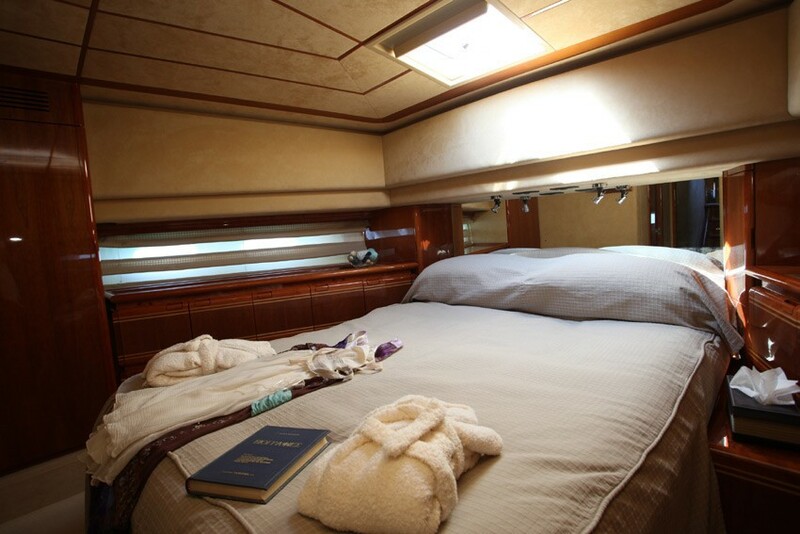 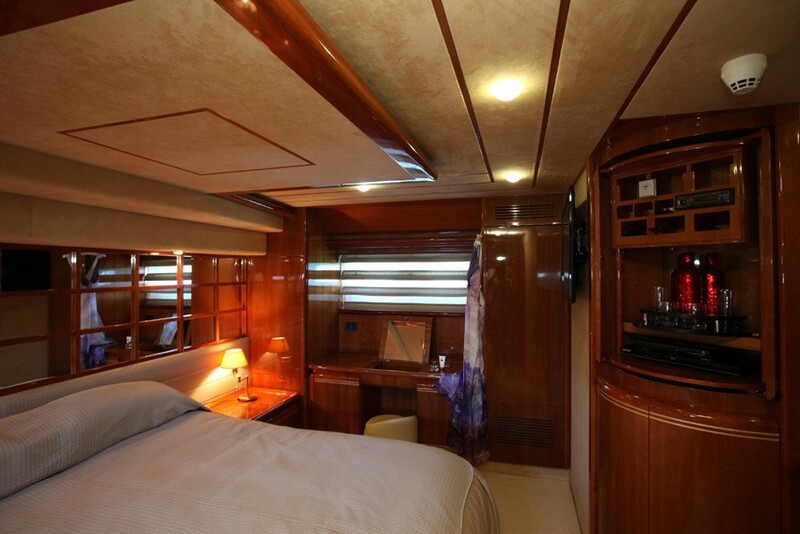 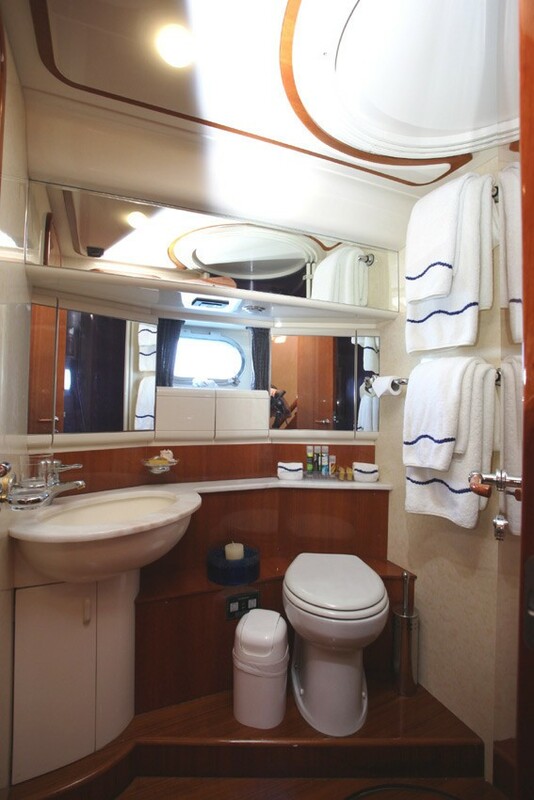 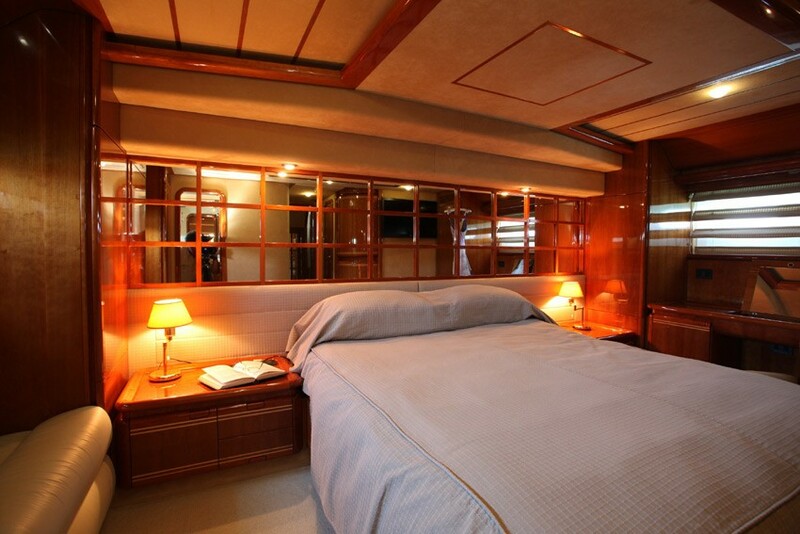 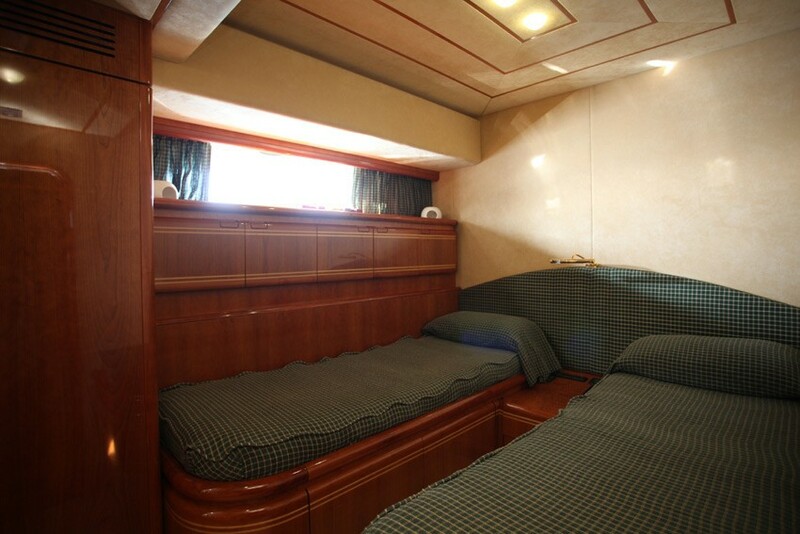 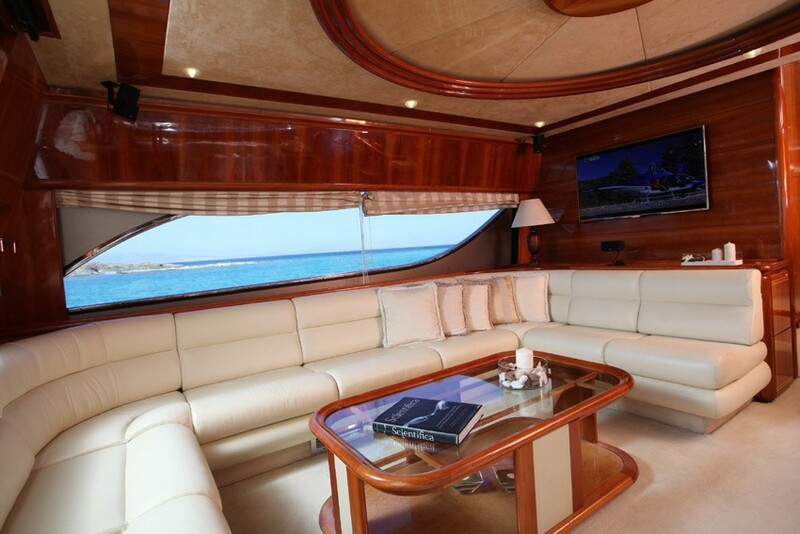 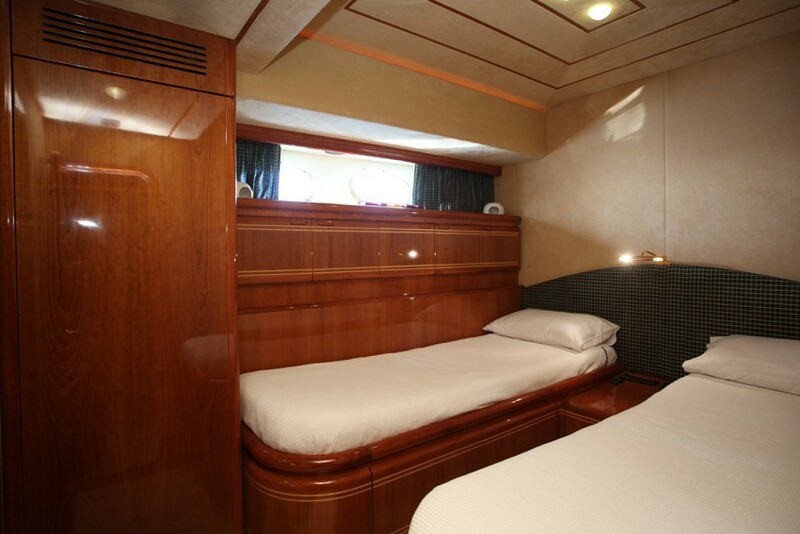 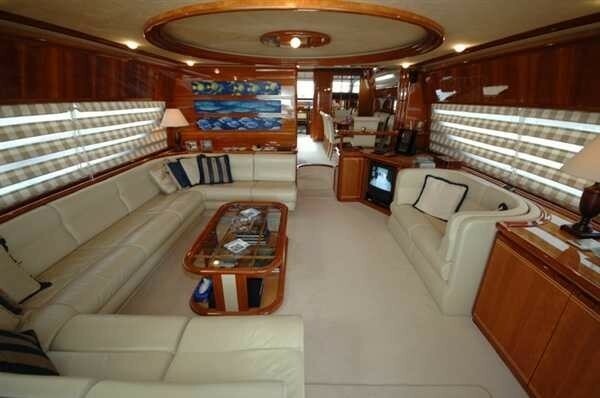 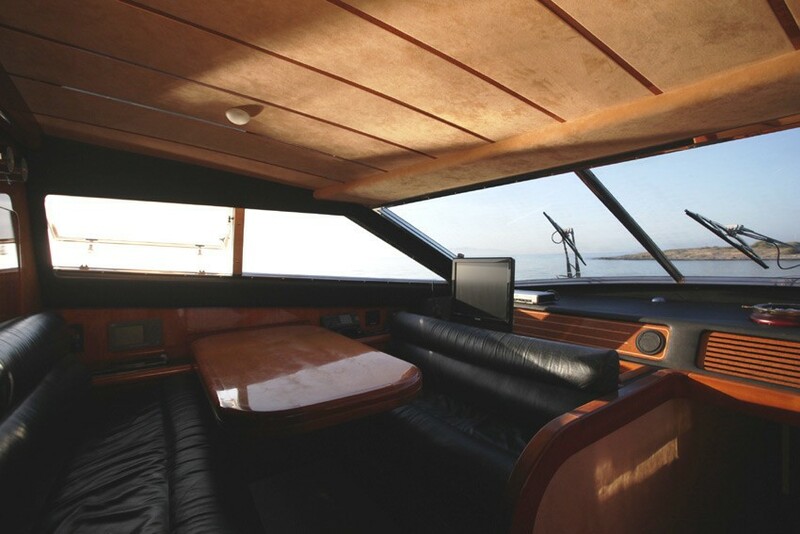 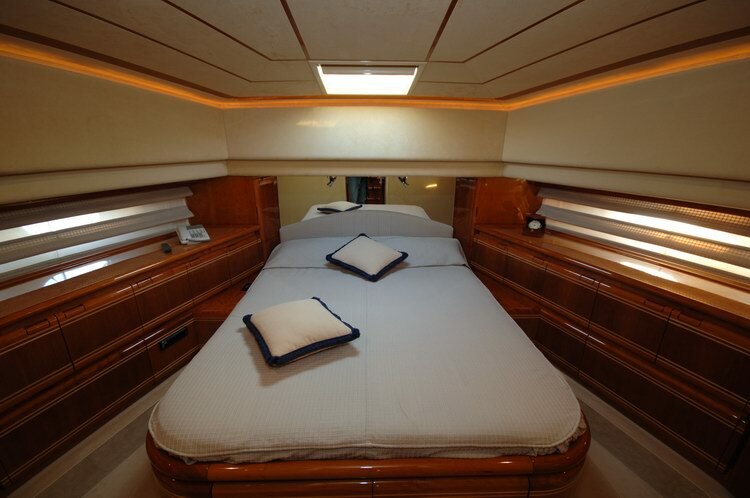 The Master & VIP cabins have satellite TV and all cabins have CD players. 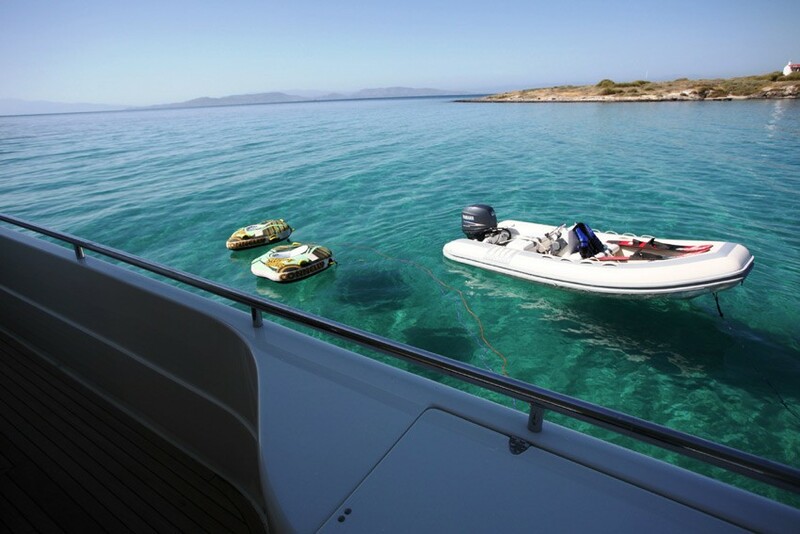 Water toys include a speedboat with 50 HP O/B, jet ski, water skis & mono-skis, 2 person towing tube and snorkeling equipment. 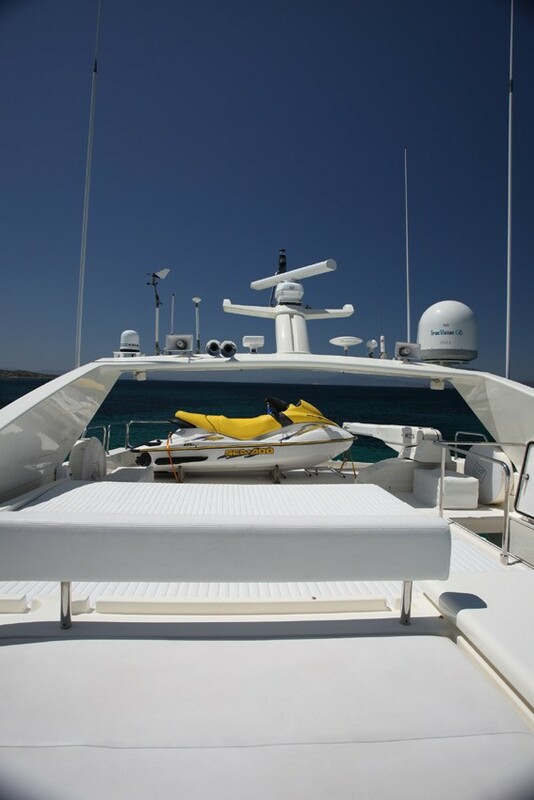 KENTRAVOS II offers rendezvous diving by appointment.